Spent the weekend with my favorite babes in Epcot & Disney Springs for my bachelorette party! My bridal party is a group of girls I’ve known since second grade, a girlfran from grad school and my sisters. We’re all in kinda different places in life & I wanted to find something that we’d all enjoy. I knew drinking around the world at Epcot would be an easy, fun bachelorette party. We booked two hotel rooms at the Buena Vista Palace, which is near Disney Springs. It had shuttles to the parks & there weren’t a bunch of kids running around (bless). It has a heated lazy river which ended up coming in handy after a longgggg day of drinking in the sun. We grabbed dinner Friday night at Paradiso 37 in Disney Springs, meh food but really fun atmosphere. Sat outside and was coaxed into singing (poorly) with pitchers of margaritas. After dinner we went to Raglan Road for obligatory irish car bombs & walked around Disney Springs. You could easily spend hours there, so many little shops to pop into. We started in Mexico, ate tacos, guac and rice and beans for a solid base to carry us through drinkin’ around the world. Friends told us to share a drink at each country to (a) avoid spending your life savings on alcohol and (b) to pace yourself. It was the Flower & Garden Festival when we went, so there were a bunch of smaller booths for countries like Jamaica. I had a pineapple margarita in Mexico, Wildflower Pale Ale at the Urban Farm Eats cart, watermelon gin slushies at Florida Fresh cart, hard root beer & a lavender pale ale in America, blood orange cider at Cider House in Europe. But the very best was the potato, chive & cheddar biscuit with smoked salmon at Cider House!! I’d go back just for that. It was so. much. fun. It would be the perfect bachelorette for a group that doesn’t know each other well, a large group, or a group where some drink and others don’t. Something for everybody, essentially. +1 for matching shirts, +1 for a veil & +1 for a sash. My girls got our Beyonce shirts from Etsy. 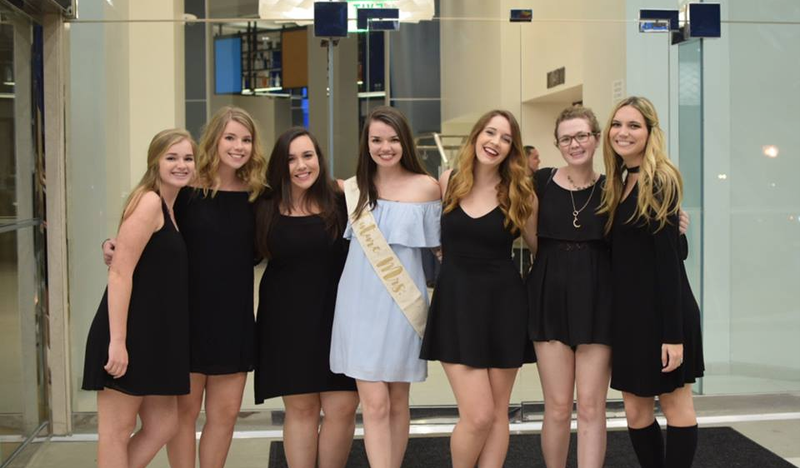 We were surprised how many other bachelorette parties we saw there! If you’re lucky, you’ll get serenaded by a sweet custodian who kisses your hand and gets on one knee.